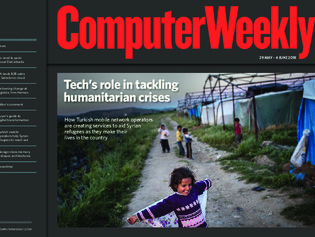 In this week’s Computer Weekly, we learn about how mobile connectivity is a lifeline for Syrian refugees in Turkey, thanks to the mobile network operators in that country. Our latest buyer’s guide examines how modern network security enables digital transformation at a range of companies. And we find out about the technology strategy of logistics firm Hermes from its CIO. And about British Airways use of Salesforce to globalize its B2B sales. Read the issue now.